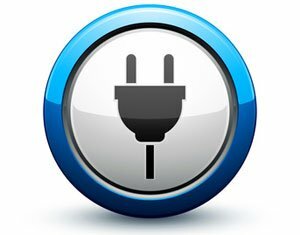 Electric plug and socket type in Canada | Adapter or converter? Electric current in Canada | Adapter or converter? In Canada and Quebec, and in fact everywhere in North America, the standard voltage is 110-120 V (with a standard frequency of 60 Hz) rather than the 220 volts used in Europe. In general, an adapter is all you need for non-motorized appliances. Examples include camera chargers, phone chargers, laptops, etc. A converter is necessary if you intend to use appliances with a motor, such as a hairdryer or an electric razor. Note that a converter can also be used as an adapter; there is no need to buy both. A converter is more expensive than an adapter. In Europe: Hardware stores (Monsieur Bricolage, Leroy Merlin, etc. ), at the airport and many other locations. In Canada: Canadian Tire, Rona, Reno Depot, Home Depot, etc. We recommend buying your adapter or converter before leaving home. That way you will spend less precious holiday time shopping for items you need.